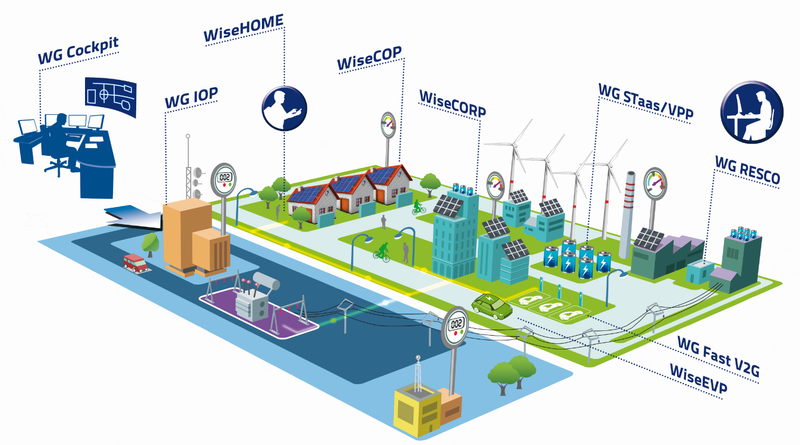 Figure 1 is showing how WiseGRID results will be packaged in the form of nine different technological tools for the different actors of the energy market. Figure 2 shows how WiseGRID solutions can be mapped within the HL-US and how the 7 HL-US are being covered by the different demonstration sites. 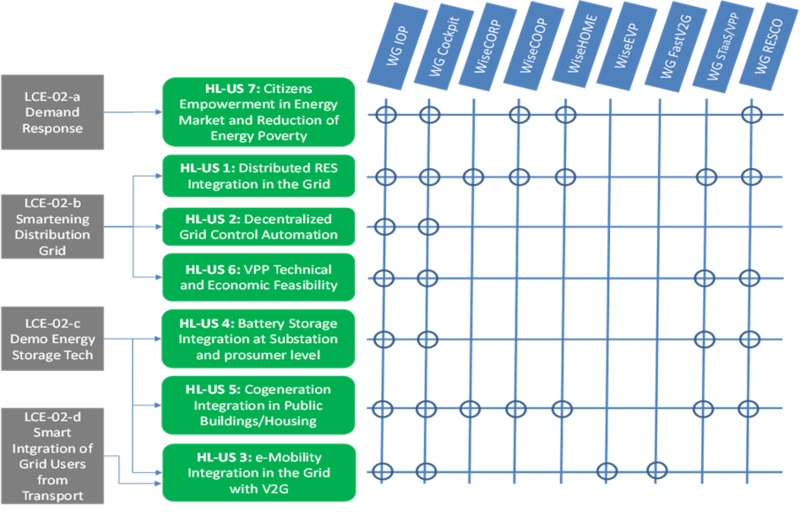 HL-US 1: Integrate and demonstrate the largest possible share of intermittent decentralized RESs, showing the services that will provide stable and secure grids in these circumstances, including avoiding curtailment. HL-US 2: Decentralized control automation of the distribution grid: To provide an intelligent distributed control for DSO in order to detect faults, self-protect and self-reconfigure the network in a robust way to restore the power system without the intervention of a central intelligence (self-healing). HL-US 3: Integration of e-mobility and electric transport systems into the network with the implementation of the V2G technology in order to provide services to the grid, such as storage capacity. HL-US 4: Integration of energy storage systems substation level: Use of storage systems integrated into the utilities and substations level in order to give flexibility to the grid and auxiliary power supply. HL-US 5: Integration of cogeneration in a public building or collective housing, using hot water thermal storage units where heat can be used optimally and with the possibility to work with power to heat. HL-US 6: Technical and economic feasibility of the VPP concept, achieving higher efficiency by means of aggregated resources, i.e. to deliver peak load electricity or load-aware power generation at short notice. HL-US 7: Empowerment and protection of citizens (Including energy self-consumption) and reduction of energy poverty.